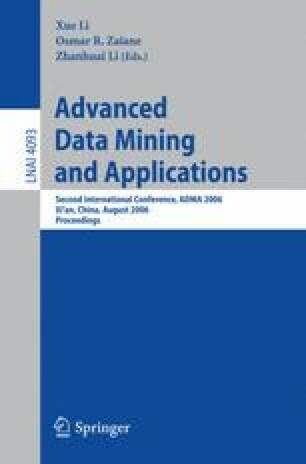 In this paper, we propose an algorithm for maintaining the frequent itemsets discovered in a database with minimal re-computation when new transactions are added to or old transactions are removed from the transaction database. An efficient algorithm called EFPIM (Extending FP-tree for Incremental Mining), is designed based on EFP-tree (extended FP-tree) structures. An important feature of our algorithm is that it requires no scan of the original database, and the new EFP-tree structure of the updated database can be obtained directly from the EFP-tree of the original database. We give two versions of EFPIM algorithm, called EFPIM1 (an easy vision to implement) and EFPIM2 (a fast algorithm), they both mining frequent itemsets of the updated database based on EFP-tree. Experimental results show that EFPIM outperforms the existing algorithms in terms of the execution time.